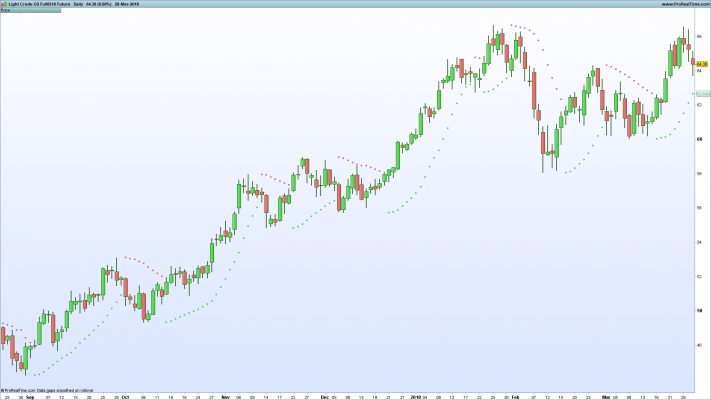 The SuperTrend indicator is a nice visual way of following the dominant trend. It uses the ATR to calibrate the indicator offset. 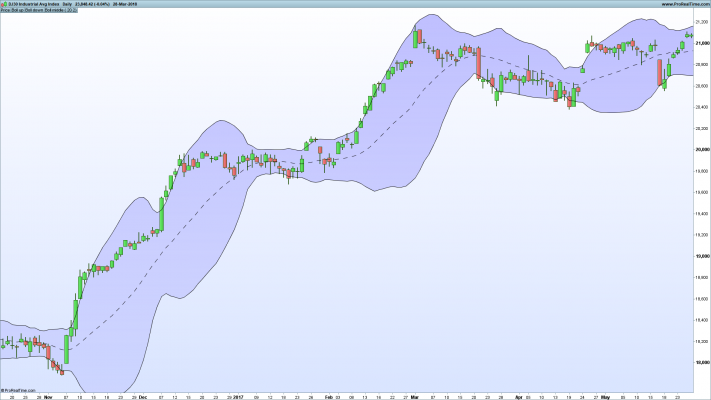 Bollinger Bands can be used on all markets on all timeframes. They use the standard deviation to offset the bands which expand and contract to suit market volatility. 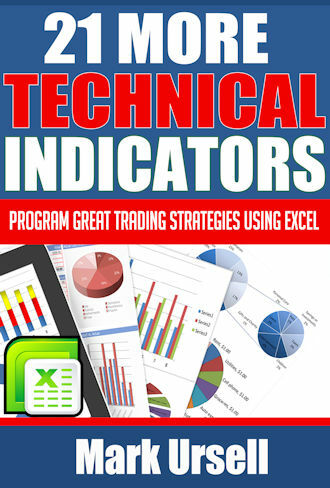 Invented by Bill Williams, these indicators work together to help identify market speed and momentum. 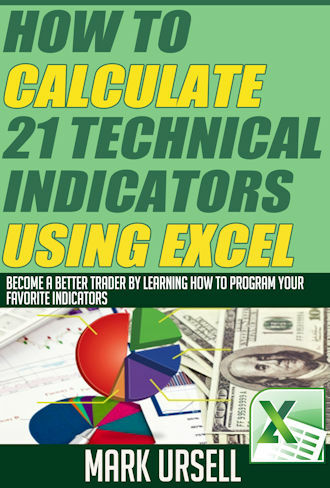 See how to trade and calculate them in this article. Classic momentum technical indicator. 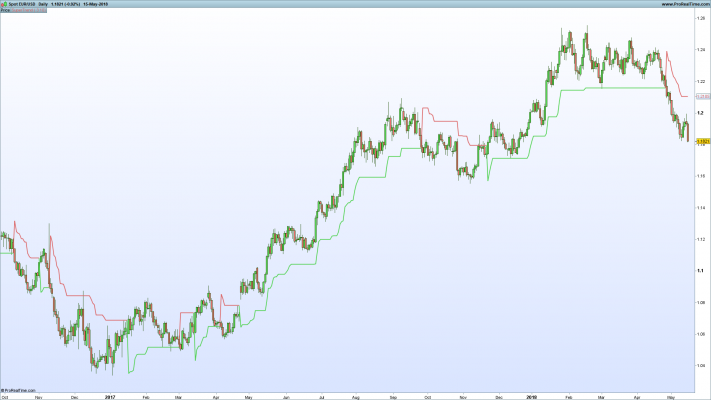 The stochastic measures how the closing price compares to the most recent highs and lows. This article shows how it can be calculated. 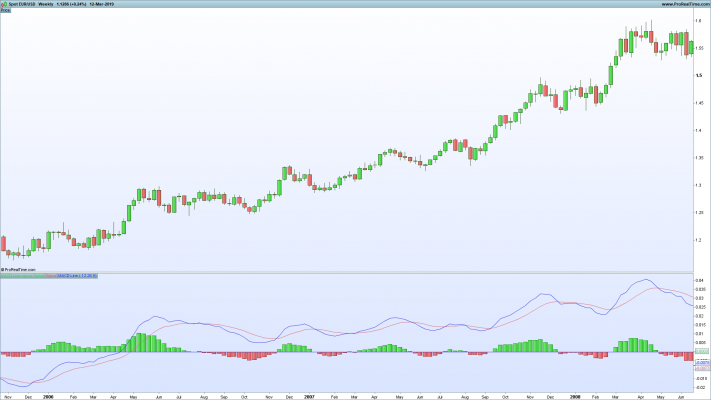 The RSI is another type of momentum indicator. It measures the difference between closing prices. 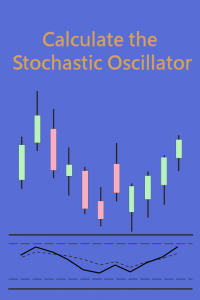 The RSI tends to be slower than the stochastic and spends less time in the overbought/oversold zones. Created by Gerald Appel, the MACD measures the difference between two exponential moving averages. The histogram measures the change of the MACD compared to another EMA.